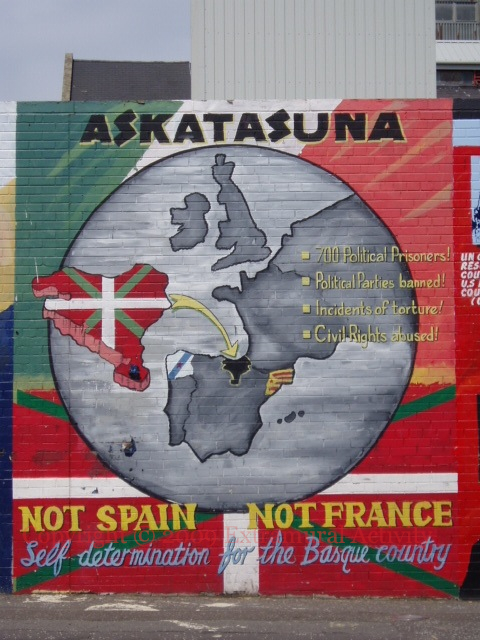 Pro-Basque mural on the international wall. To the left of this mural. Another pro-Basque mural went up in 2012. Was previously ‘Collusion-Illusion-Institution’.